The Yvonne Schmitz Award was established in 2009 to recognize the great work of union members throughout Calgary. Union members nominated for this award are active in their community and with their union. 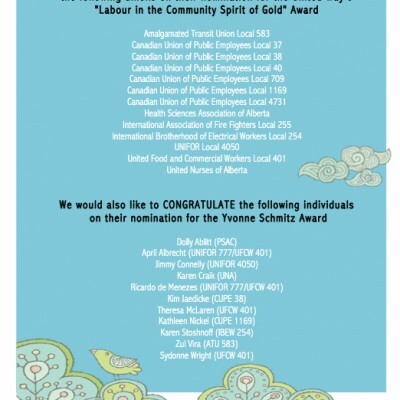 UFCW Local 401 is proud to announce that union members Sydonne Wright, April Albrecht, Ricardo de Menezes and UFCW Local 401 Secretary Treasurer Theresa McLaren have been nominated for the Yvonne Schmitz Award for their outstanding efforts in community service. 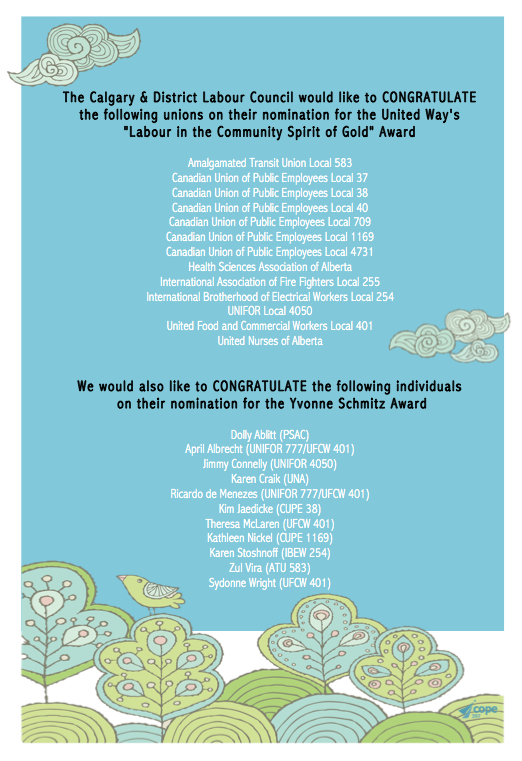 UFCW Local 401 wishes our members, and all nominees, the best of luck in consideration of this award.